In the summer of 2013 Jessica Bowman and her husband packed up their life and headed for the east coast. 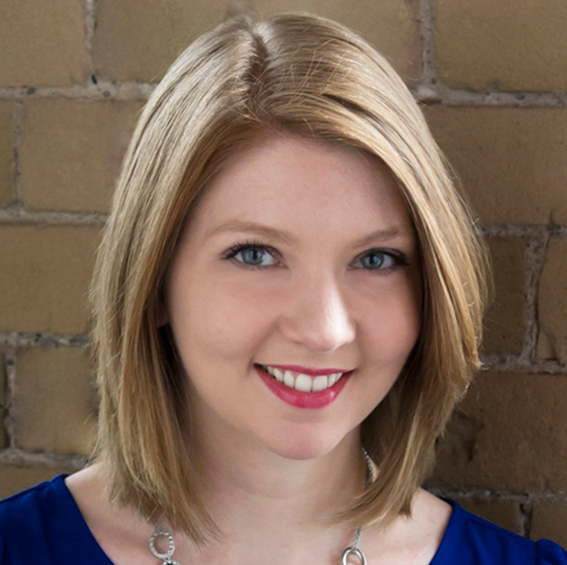 Originally from Vancouver, Jessica went in search of new job opportunities in Toronto. She’s a Simon Fraser University Alumni, having completed a Bachelor of Fine Arts in Film Production in 2009. She’s now currently a Web and Digital Marketing Coordinator at Gowling Lafleur Henderson LLP. Jessica’s career journey has always been something that I’ve wondered how she has gotten from point A to B. Why am I so interested in her leap from film to digital marketing? She happens to be my older sister and we have more in common than just our DNA. 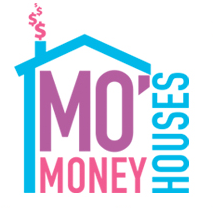 Jessica runs a personal finance and lifestyle blog Mo’Money Mo’Houses—which has led me to start my own space on the Internet too. I envision myself heading down the same career path, so I decided to talk to her about how she transferred the skills she acquired from a Fine Arts degree to a career in marketing. Sarah Moorhouse: In high school, what did you think you were going do after? Did you know you were going to go straight into the film program? Jessica Bowman: Yeah, that was always the plan. I started getting interested in film studies in grade 11. There was a film and TV class and I was really good at it. I really liked it because it kind of melded the things that I really liked; techy, nerdy stuff and that artsy creative part. It felt natural doing all that kind of stuff and I’ve always loved movies. In grade 12, I started researching schools.It was between going to Emily Carr because it was a really good art school and they also had a film program and SFU because they also had a really good film program. I did a tour at Emily Carr but I just didn’t feel like I fit in. I started looking to SFU. SFU had a really hard program to get in to. They only let in 30 people a year, I don’t know if they still do. I thought even if I don’t get into the film program, at least I got into SFU, which would be a good school and I could do something maybe related to that. SM: When you decided to go into the program, did you have any idea what your plan was when those four years were done? JB: I was just focused on completing the program because it was so intense, for at least the first two years. You have to work really hard for those two years and there’s a practical […] and a written exam. After that they would dwindle down the class to 20 people. Once I got accepted to the next two years of the program, that’s when [I] really focused on making [my] grad film, which is your whole third and fourth year. I wanted to become a film editor it was always my dream. But I started realizing that I don’t know if my passion for film was big enough to out weigh all the other things that I wanted [in] life. SM: So making “Catechism”, the film you made in your fourth year, that was the deciding factor? JB: Yeah, when I was making it I really loved making it and it was kind of one of those bucket list things, I always wanted to make a movie. [When] I made it, I felt like that was the close of that chapter and I wanted to move on to something different. I wanted some kind of administration role in the art industry. SM: Did you ever think of being a curator or something similar to that position? JB: I feel like lots of people have ideas about careers but they always think about the executive role and they don’t necessarily think of the steps you have to do before hand. When I got that job working at VIFF after I finished my degree; that was my dream job after film school. But also working [in] that kind of environment, you realize that lots of your ideas about jobs aren’t necessarily what you thought they were. You have those realities to face. Lots of [those jobs] are on contracts, you can work for six months out of the year and you have to find work for the other six months. So I’m like, [I] want something more stable. SM: Do you miss the arts? JB: No, because I feel like you don’t have to work in the arts to be involved in the arts. I make a better salary now, so I can actually pay for tickets to a show and I don’t have to work for a job that I depend on getting free tickets. It was nice at the Georgia Straight, getting free things but it’s also nice to be able to afford tickets to the theatre. So that’s how I contribute and am still involved in the arts. SM: You said the things you liked you wanted to add to a job, so how did those things translate to digital marketing? Also, what are those things? JB: A lot of it actually, it’s funny, a lot of it started from my first job out of school, which was VIFF. For part of my job was maintaining the forum’s website […] I got to play around with Photoshop, Dreamweaver and some coding and that’s when I was like “I really like doing this and I think I’m actually good at it”. I used to spend hours just fixing the little things and whatever. It wasn’t really until I started work at the Georgia Straight, almost a year after that, that I realized that I really liked marketing. Then I started my own blog and to get some more skills. SM: Do you think any of the skills you learned in the film program correlate with what you do now? JB: I didn’t necessarily translate any hard skills but definitely some soft skills, lots of kind of little things, like writing, planning, being a leader, things like that have definitely helped me in my career. SM: Building on that, did being in the film program help you in find a job in marketing at all? JB: Yes and no, I’m pretty sure, a lot of doors were probably closed because I don’t have a marketing or communications degree. I have a fine arts degree in film production and that scares people because they don’t understand what that is. However, I think for lots of the jobs or the interviews that I have gotten have pointed out that they think that that’s interesting. SM: I know one of the things I get worried about is that even when I go to different departments for different classes, no one knows what my degree is. So it worries me a little when I graduate when I start applying for jobs, how am I supposed to promote myself when they won’t really know what my degree is? JB: What I’ve learned to do in any interview is have to have your elevator pitch. Which is your story that you could tell them in less than three minutes. My story is, “I went to film school because I’m really passionate about the arts and story telling and content creation.” I basically find things that are in the role I want and somehow tie them into my education. Such as, content creation, organizing and you know stuff like that. I just tie up all those skills into the job that I’m applying for. SM: Has your blog helped you to gain some more experience? Do you talk about your blog in your interviews? JB: I do! I put that on my resume and I mention it in my cover letter. I also I think it’s another interesting thing that people will be like “Oh she went to film school and she has a personal finance blog, that’s weird and unique!” I think having a blog and especially if you want to work in social media, it definitely helps because you are on social media and you understand digital marketing to an extent. SM: When did you start putting your blog on your resume? JB: Well you know it depends what kind of mindset you have with your blog. After about a year, I started taking my blog seriously and thinking of my blog as a second job. It wasn’t just a hobby anymore and at that point I was making an income from it. SM: I’ve had mine for over a year and I want to use it for resume purposes and grow it but the community is so saturated. JB: Then maybe you need to find a different niche. Find a niche that’s not so saturated. Don’t ever start a food blog. It’s stupid everyone has one. I think it honestly all depends on just giving it your all. Picking a smart niche, not like a huge niche like food or fashion. Also, really understanding the community. The reason I think I have so many readers is because lots of them are other personal finance bloggers, that I tweet and meet in person. Honestly is mainly just about coming up with unique and interesting content. It’s good to write personal stuff and find a reason for why people should care. For me I’ve gotten a lot more readers this past month and a lot of it is because I’m talking about real estate and house hunting. It’s like when you’re watching HGTV and you’re like “I wonder of they’re going to buy that house” or if they’re not “why aren’t they buying the house”. SM: People love knowing other people’s secrets. JB: People love knowing other people’s…. SM: Oh I know, I saw it! JB: It’s gotten a lot of attention because people want to know how much I’ve made. People don’t talk about specific numbers. I’ve never actually talked about specific numbers. This is the first post that I’ve done that talks about [that]. So it was kind of hard for me to put that out there. But once I did people really reacted to it because they want to know! SM: Yeah! Okay, moving on…when you got to Toronto, I know it was hard even though there were all these opportunities, but it was hard to find the job you currently have, so was that a huge factor in you going back to school? JB: Yes and no. I was actually looking at U of T’s digital marketing program for a while, even when I was in Vancouver. I started looking at lots of these job postings and the skills they required and it honestly just seemed easier for me to go back to school because I could get a certificate and put that on my resume. [Also] when you’re in school it tells you specifically what you’re supposed to know to pursue this career. Especially when you’re doing continuing studies its more focused than a general degree. I think [education] is always worth the money, hands down. Never regret paying for education. SM: Do you think experience can be just as valuable as education? JB: I had experience learning and teaching myself for my blog but even still I’m actually taking some courses right now on coding because I have to do more coding [for my job]. So quite honestly you’ll never be done with school. You’ll always probably go back, whether it is for a formal certificate, diploma or a course here and there. SM: Lastly, What advice would you give me or anyone else who will be graduating next year about how I should prepare myself for the working world? JB: Sure. I’d suggest start researching entry-level jobs you may want right now, even a year before you graduate. Start talking to professors to see if they can let you know of any openings they know of. That’s how I got my job at VIFF and be open to doing an internship, even if it’s unpaid, to get some experience. And also, don’t get discouraged. It’s one of the hardest things in life to start your career, so persevere and keep educating yourself. The learning never stops even after university.